Steel / Stainless Steel / Aluminum / Copper Etc..
Silver Color / Antique Brass Color / Bronze Color / Black Color Etc. Shower Curtain / Window Curtain / Door Curtain / Room Divider Etc. Metal Mesh Curtain also named Metal coil drapery or Metal Chain Link curtain, widely used in interior and exterior decoration. It is a new and innovative decorative metal curtain, has the flexibility and gloss of metal wire and metal line. With excellent fluid sculpture and regular folding, meal coil drapery is just like a common curtain but not only a common curtain. Available with changing colors, metal coil drapery can bring an endless imagination and great aesthetic appeal under the reflecting of the light. 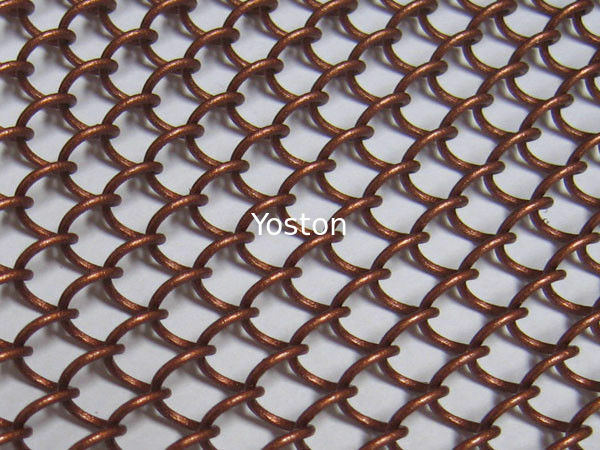 Yoston company has already entered in this field for ten years and has been committed into research and development of new metal curtain products. 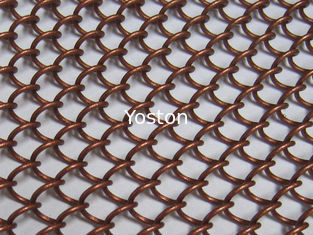 With high quality products and good service, Yoston has won a good reputation all over the world. Material: Steel , Stainless steel, Aluminum , Copper etc. Wire diameter: 0.5 mm - 2 mm. Aperture size: 3 mm - 20 mm. Open area: 40% - 85%. Finish: zinc coated, copper plated, metallic color spray, etc. Lacquer coating. Lacquer coating is cheaper than other surface treatment. Anodic oxidation. It is better processing and looks better than the lacquer coating. But it is only for the aluminum alloy wire. Acid washing. 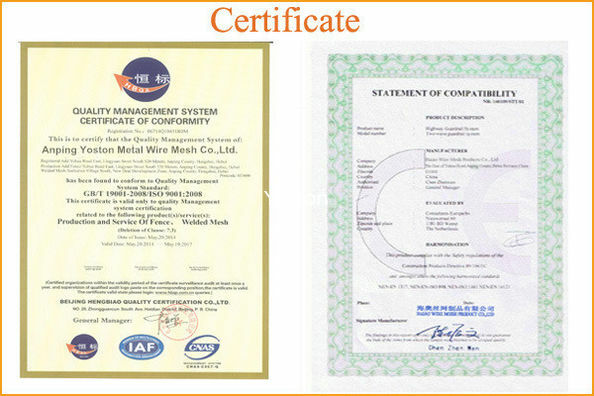 It is suitable for the stainless steel wire. After washing from acid, the metal coil drapery is very light. Light diffusion and good ventilation. UV resistant and flame resistant. Beautiful appearance and various color. Finishes are beautiful and resilient. Color never fading and paint never dropping. With versatility, variety of color, durability and flexibility, metal coil drapery provides a new decoration style for various functions and practical areas. Curtain: shower curtain, window curtain, door curtain, etc. Space divider: for home, office, restaurant, hotel, supermarket, etc. For decoration: light partitioning, ceilings, wall covering, display, etc. For protection: cladding, facade, enclosures, shades, etc.